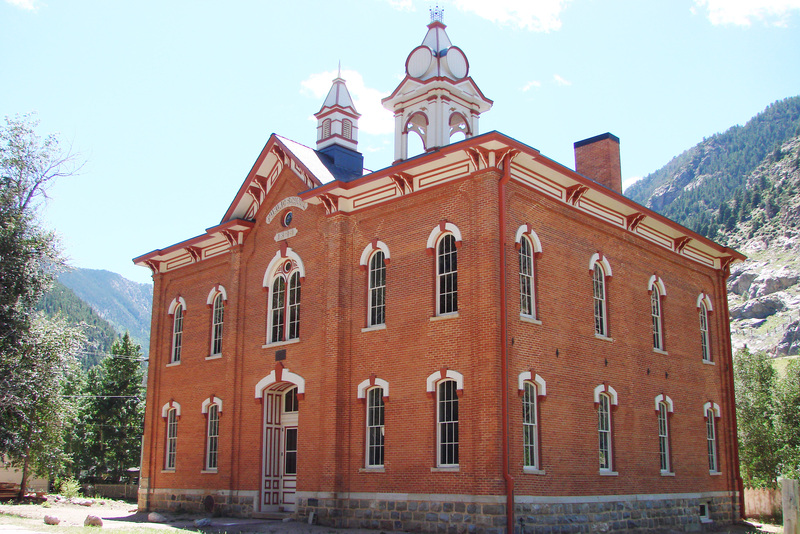 The Georgetown School was built in 1874 and is believed to be one of Colorado’s oldest extant brick schoolhouse buildings. The structure is located within the Georgetown and Silver Plume National Historic Landmark District and was nominated to the Endangered Places Program in 2006 due to the threat of neglect. 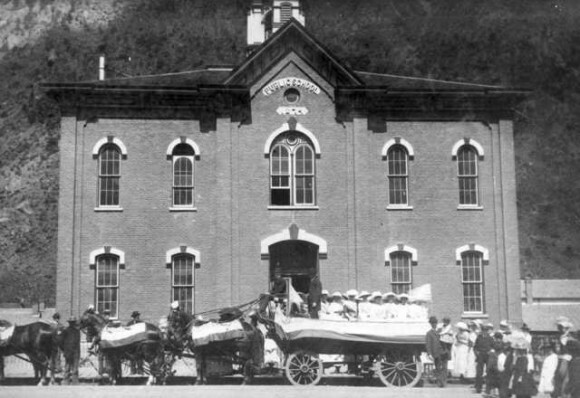 The school is one of only two pre-1880 masonry schools remaining in Colorado and is highly visible along one of Georgetown’s main avenues. The building served the community as a school until 1938. The building was sold into private ownership in 1946 with the initial plans for its use as a mining museum. These plans, however never fell through and the building remained vacant and continued to deteriorate. 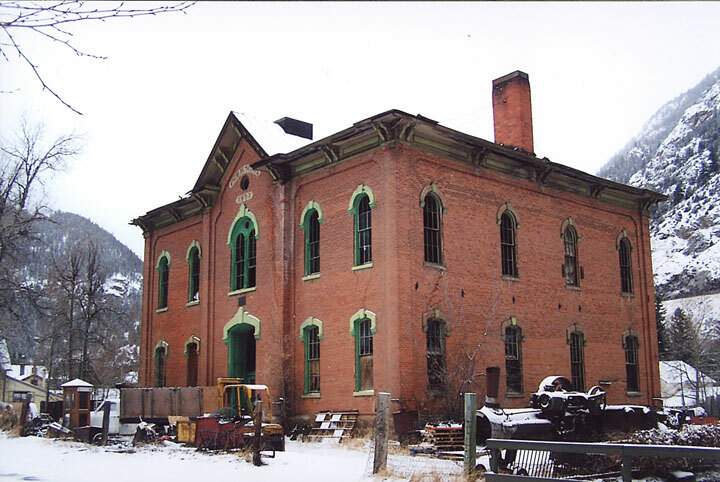 In recognition of its growing fragile condition and its great importance to the Landmark District, Colorado Preservation, Inc. listed the school on the Endangered Places list in 2006. Shortly after the school was nominated, the Georgetown Trust acquired the structure with funds from the Statue Historical Fund and individual donations. Complete restoration of the exterior in the summer of 2007. The project was conducted in three different phases over the following years, beginning with the roof, eaves and gutters. A $150,000 National Park Service “Saving America’s Treasures” grant was awarded to the restoration. In 2008, the building received structural reinforcement, asbestos abatement, compression grouting, and restoration of exterior brick, stone, window and doors. The final phase of the project in 2009 included restoring the historic exterior paint colors, and reconstructing the two vent towers and the bell tower based on archival photographs. Experts from Long Hoeft Architects, Hoehn Architects, Building Restoration Specialties, and Silver Plume Home Services carried out the work, and more than $1.2 million was spent completing the exterior restoration. Funding was provided from a broad range of sources including grants from the State Historical Fund, NPS Save America’s Treasures grant, National Trust Peter Fund grant, grants from Boettcher, Gates, 1772, El Pomar, and Quick Foundations. Generous donations from the local Eastern Star Chapter and Bob and Betty Hall, and over 200 individual and corporate donors carried the project to completion. The restoration of Georgetown School is a tribute to the power of a passionate community, and a gift to travelers on the I-70 Corridor, who can now enjoy a bird’s-eye view of this architectural gem.